Americana singer-songwriter Josh Ritter plays a live session for The Culture Studio, plus ballet dancer Carlos Acosta introduces his first novel, Pig's Foot. Writer Alan Grant (2000AD and Batman) and infamous artist Robin Smith (2000AD and The Bogie Man) have teamed up for the first time in 20 years to work on a comic with Artlink Edinburgh's Alison Stirling and a young man, Scott, who has autism. Americana singer/songwriter Josh Ritter plays a live session in the Culture Studio. 'Release' is an exhibition of artwork from prisons across Scotland. The works have been entered for the Koestler Awards - a charitable scheme which has been rewarding artistic achievement in the penal and secure sectors for over 50 years. All will be revealed with artist, playwright and former inmate Eve McDougall and awards judge, Robin Baillie of the National Galleries of Scotland. Dr Laurence Grove, French comics expert and Reader at Glasgow University reviews 'Asterix and the Picts' for us. Carlos Acosta is best known as one of the greatest dancers of our time, but he's also penned an autobiography -No Way Home, which seems to have ignited a passion for writing. He tells Janice about his first work of fiction, Pig's Foot. The American singer-songwriter, guitarist and author who performs and records with The Royal City Band is live and in session on The Culture Studio. 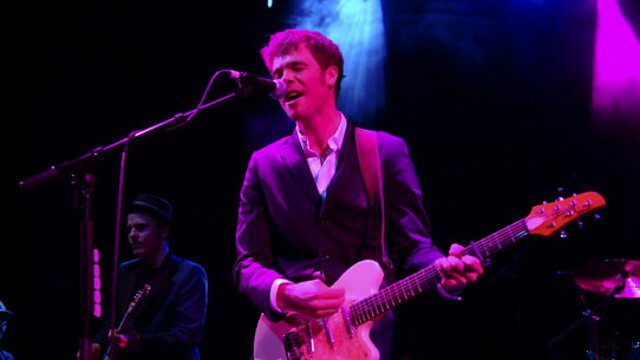 Find out more about Josh Ritter on BBC Music. Artworks from Scottish prisons have been entered into a charitable scheme which has been rewarding artistic achievement in the penal and secure sectors for over 50 years. See a slideshow of the artwork here.